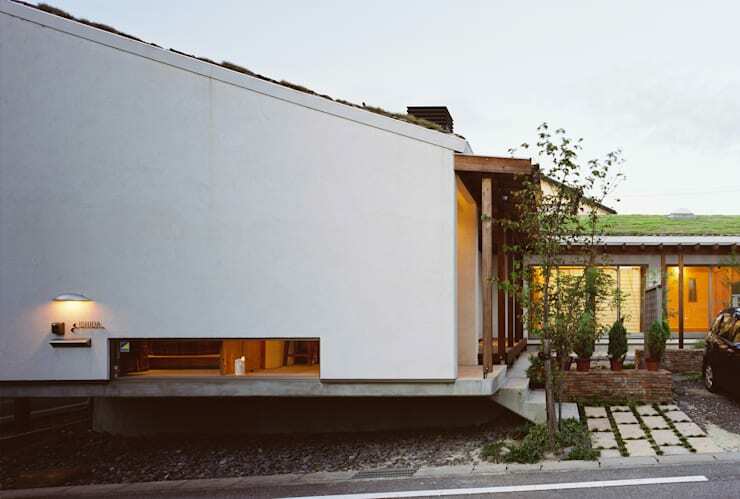 The L-shaped home is located in a densely populated urban neighbourhood and one of the walls backs right up onto the road. As a result, privacy was an issue. The architects have countered this by creating a very long and low-set window panel. This invites light into the home without unnecessarily sacrificing the occupants privacy. The L-shaped layout serves several purposes in this home. It acts to embrace the outdoor courtyard area and in a sense, creates a third living area. It also provides parking space and shields the outdoor space from the effects of wind and erosion. But the standout feature here is the green roof. It has a simple grass lawn and requires very little upkeep. The roof is shielded with a water retention sheet, waterproof material and a coconut mat. The designers have also installed an irrigation system between the turf, so the grass is automatically watered. 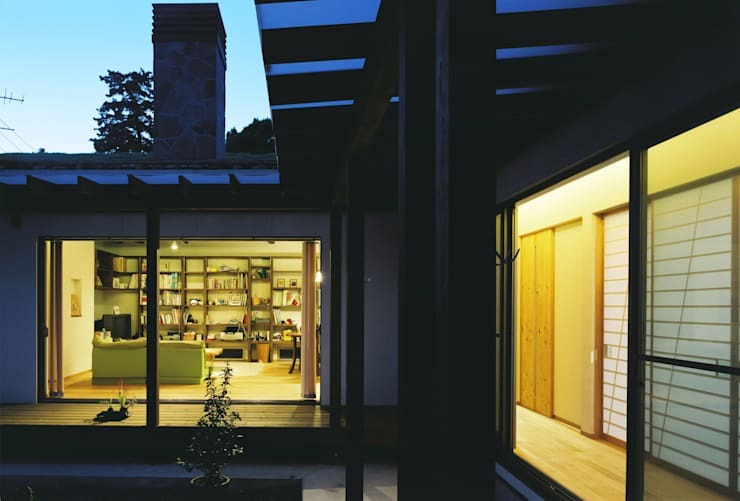 In this evening view of the home, we get a sense of the relationship between the two arms of the L-shaped home. The simple passageways on either side help create a sense of spaciousness and enhance the natural flow between the two areas. Also, note how the walls are made from floor to ceiling sliding glass doors. This home may be located within an urban neighbourhood, but with walls like this, the outside garden becomes a very integral part of the indoor decor. Japanese interiors are often furnished with bespoke wooden furniture and in this living room we have a good example of how this can be done well. The difference here is that the extended ceiling has been designed with floating timber ceiling beams. They add an airy, outdoorsy touch to this living room. Also, see how the colour scheme reflects the colours of nature. 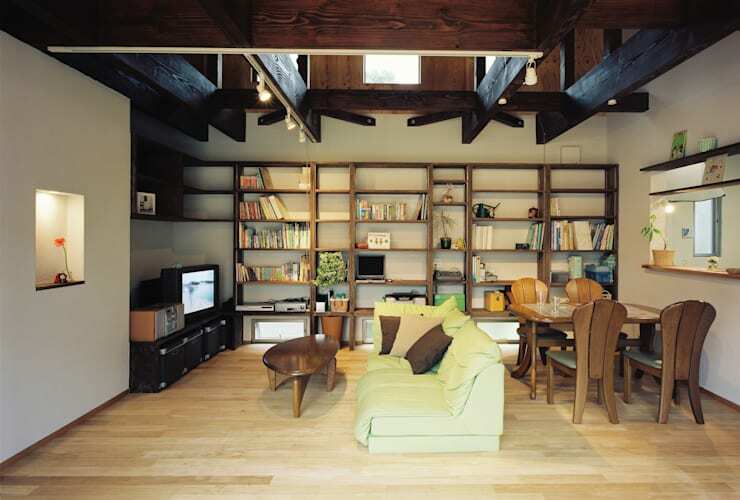 The pale wooden floor and dark wooden furniture has been matched with a simple pale green sofa. The sloping roof of the home has been used to create a separate sleeping loft. 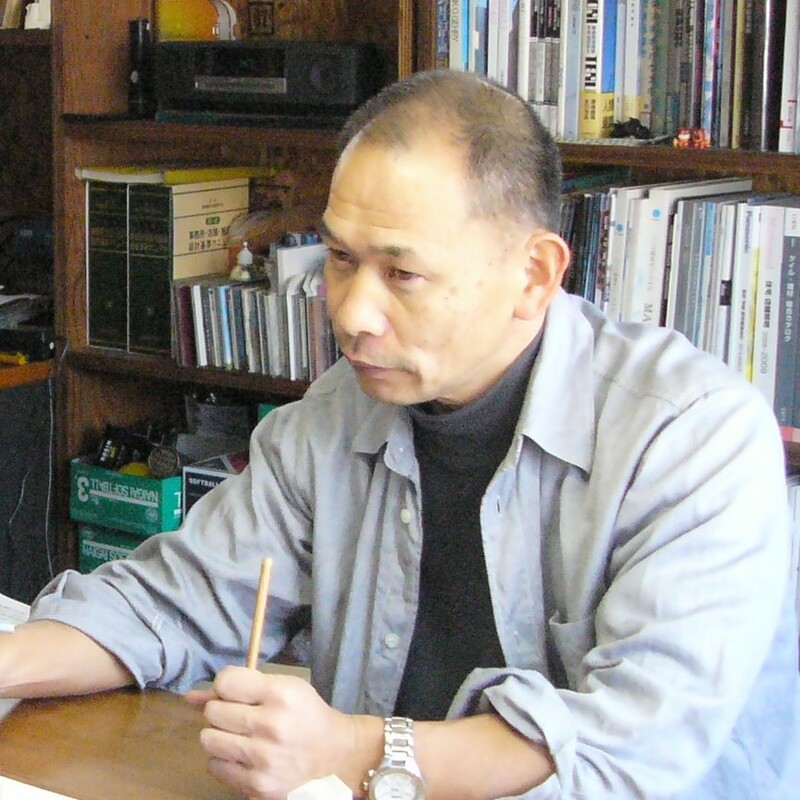 As is common in many Japanese homes, it is simply furnished and has a lot of closed built-in cupboards to store away extra bedding. 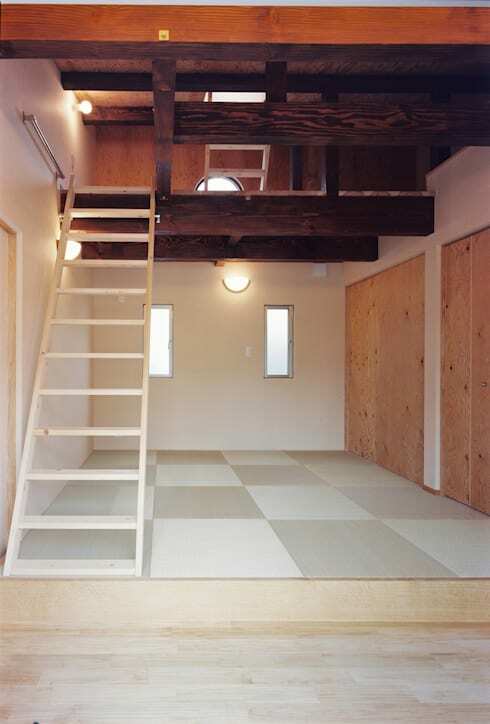 The ground floor here also has a tatami floor that is one of the defining characteristics of Japanese homes. The L-shaped layout has been certainly used to best effect throughout the home. In the bathroom, the bathtub has been set up with a view of the green courtyard. The natural essence of the decor is further reflected in the prevalent use of wooden materials. It is rare to see such a profusion of wood in a bathroom. 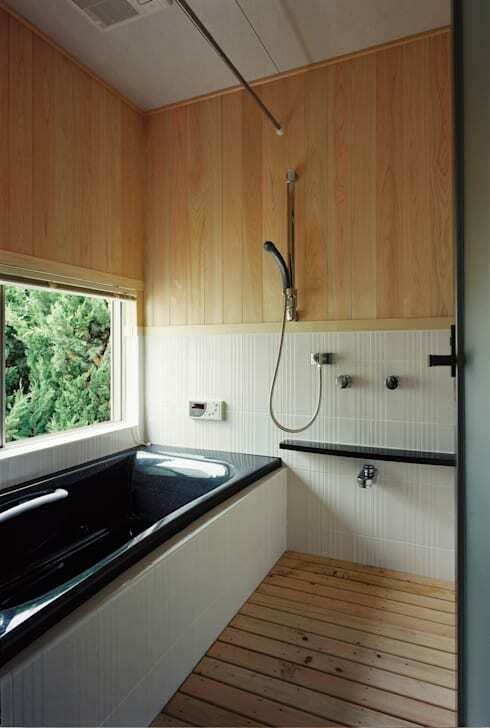 But here, the wooden floorboards of the bathroom have been set slightly apart to provide adequate drainage. Finally, note how this area works as an open shower room as well! If this project has you inspired about the possibilities of green homes, you'll love the simple green conversion of this Japanese home… A sad apartment comes to life—quite literally! 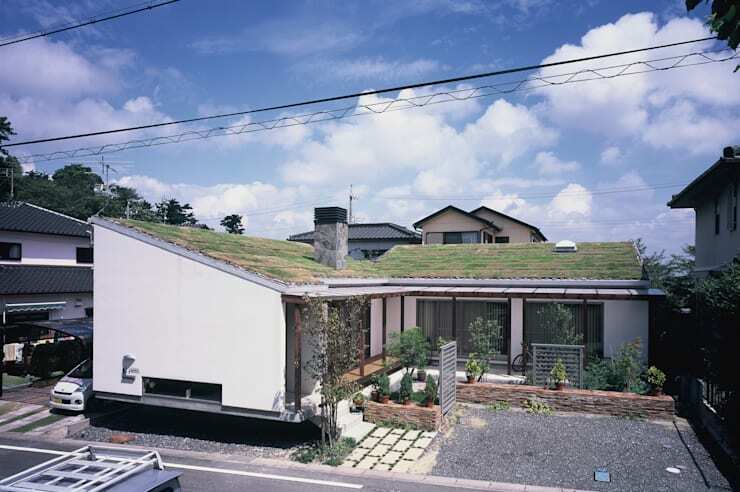 What do you think of this home's impressive living roof?